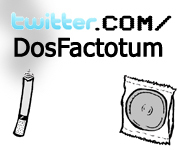 Dos Factotum is a comic strip about a condom and a cigarette who are also roommates. It’s made by two dudes named Ryan and Dave who live in Brooklyn, NY (not roommates). 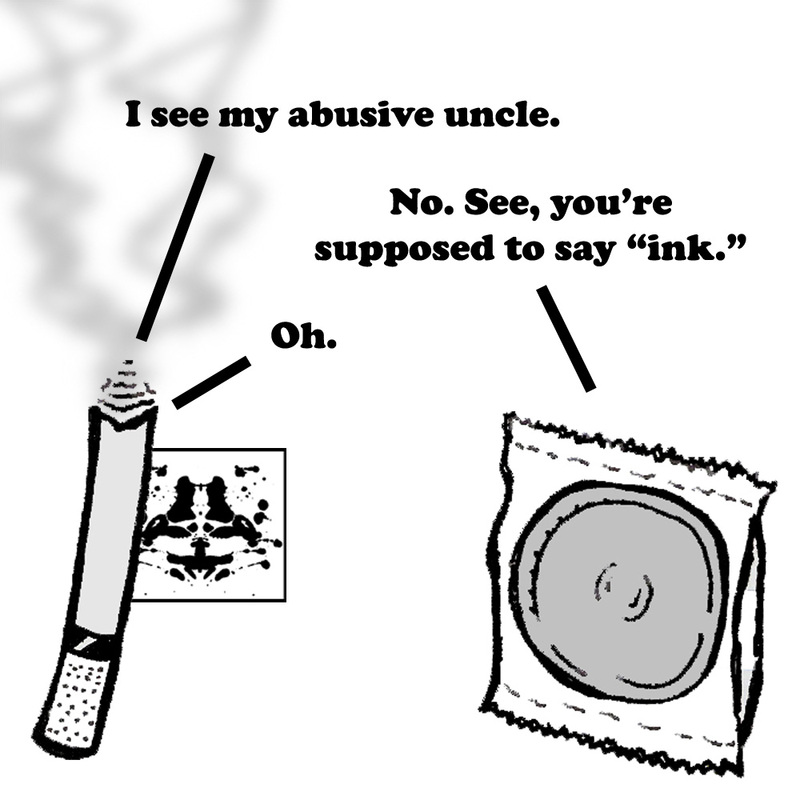 The first seven seasons of the strip were posted ages ago in a very irregular fashion. But now they’re being published again in a somewhat regular fashion along with some added bells and whistles like comments, RSS and other garbage Ryan doesn’t understand. The site also has blog posts, in case you’re only into words. Write us emails by clicking here.